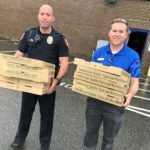 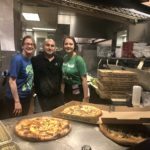 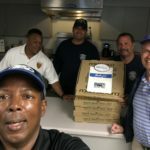 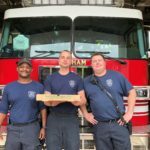 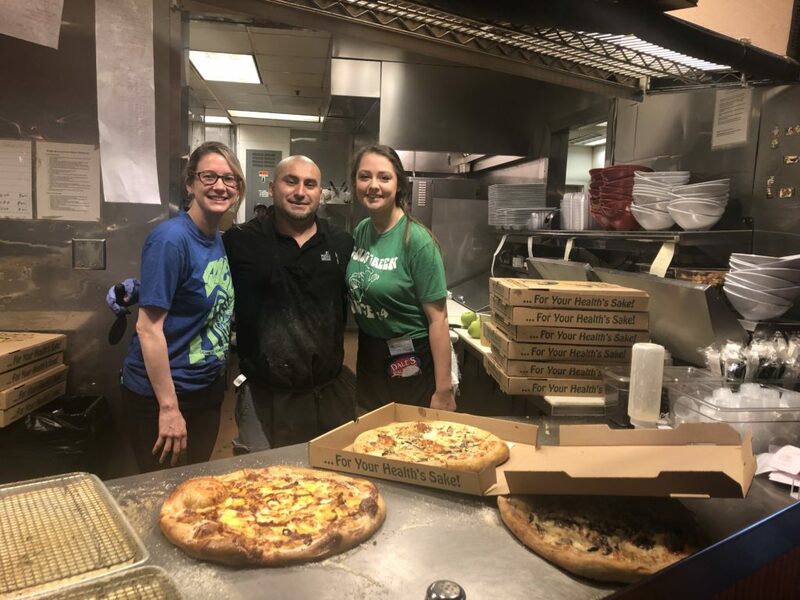 (Durham, NC)— April 12, 2019 — Six Durham franchised automobile dealers gathered at the Mellow Mushroom in downtown today to distribute 100 pizzas to the Durham Fire Department in the wake of Wednesday’s gas explosion that killed one, injured many, and demolished buildings. 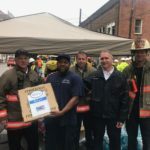 The North Carolina Automobile Dealers Association (NCADA) spearheaded the project and worked in conjunction with Mellow Mushroom, Mark Jacobson Toyota, Crown Automotive, University Ford, University Kia, Johnson Automotive Group, Sport Durst Automotive, Curtis Media Group and WQDR. 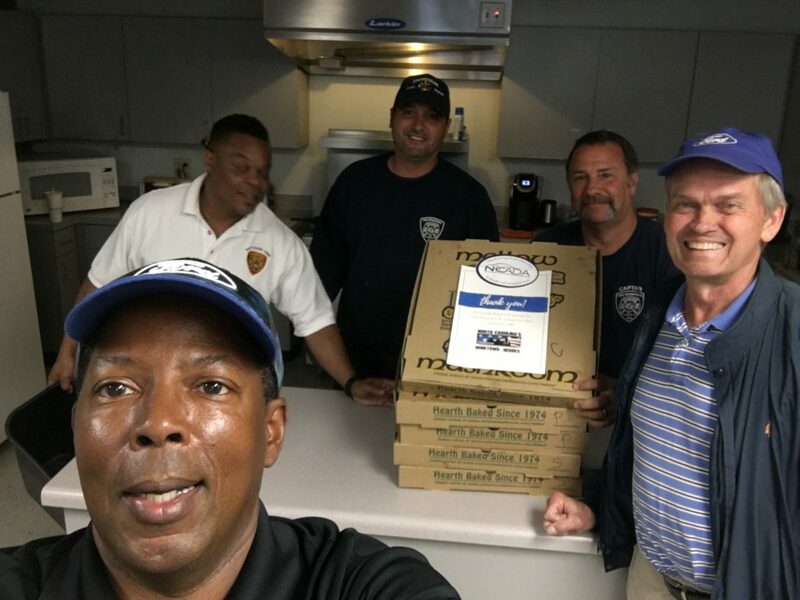 Local dealership employees congregated in cars outside the local Mellow Mushroom at 11a.m. 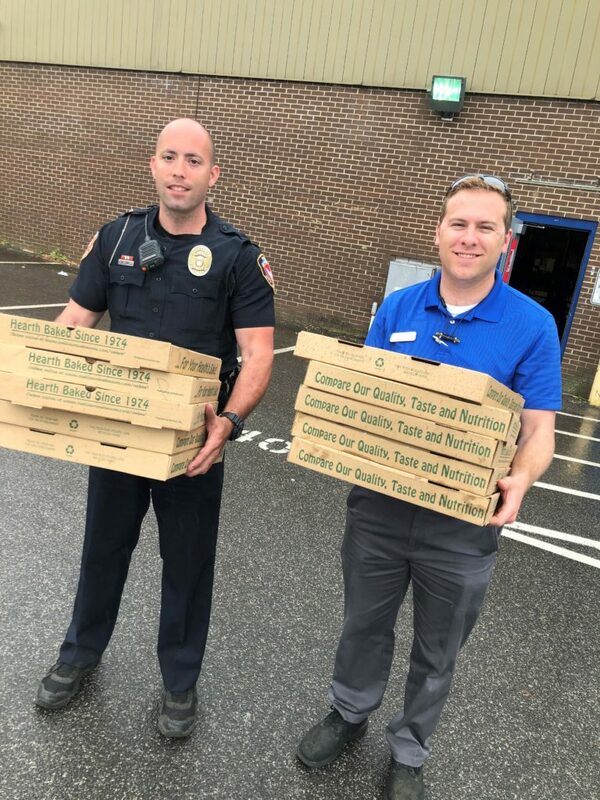 where they stood by to receive pizzas. 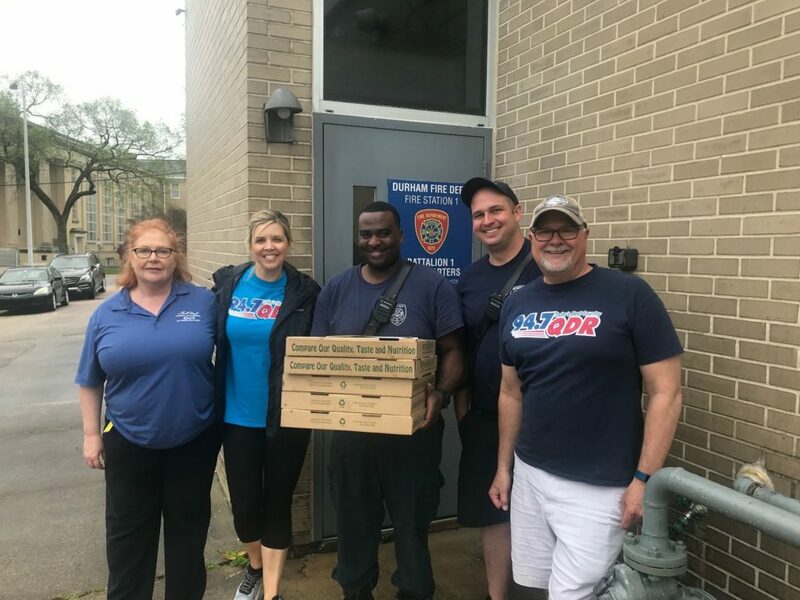 Volunteers from Curtis Media and WQDR assisted with loading pizzas into 30 dealership vehicles. 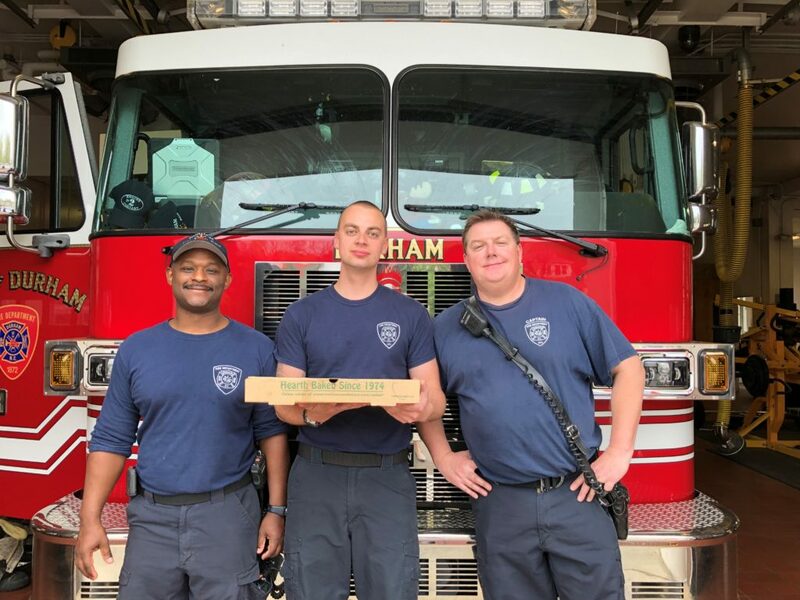 In less than half an hour, over 100 pizzas were dispersed among 19 Durham Fire Stations. 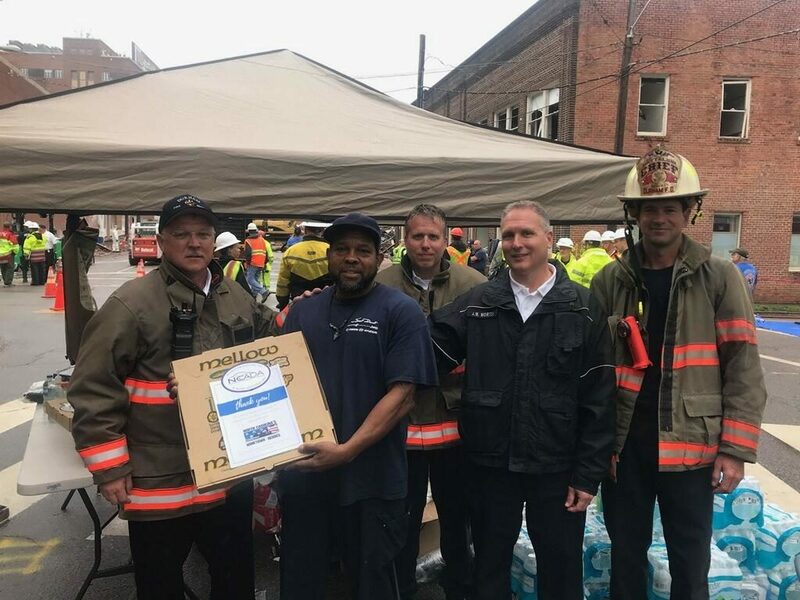 “As an industry, new car, truck and RV dealers are happy to support our local first responders who work tirelessly to keep our communities safe. 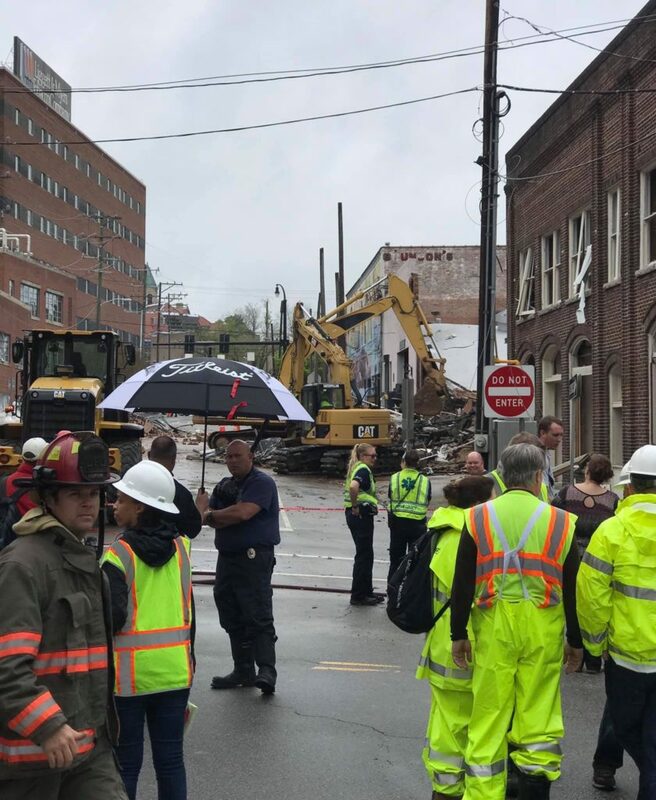 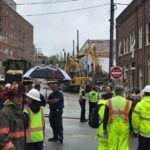 What happened Wednesday was a tragedy, but it could have been a lot worse if it weren’t for the Durham Fire Department and their evacuation efforts. 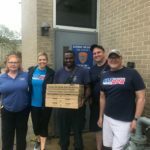 The very least we can do is provide a hot meal to those who continue to pick up the pieces,” stated NCADA President Robert Glaser.